Comment: The words from Job show us just how angry and sad he is with his situation. These are words of lament in the midst of suffering. Job has not abandoned his faith in the midst of suffering. He calls out to God. These words of lament remind us that we have all sorts of feelings. We give praise and thanksgiving to God, but when we are really angry or sad, we tend to pull away from God. Yet, God is there, even if we cannot experience God’s presence. In You’re a Crab! 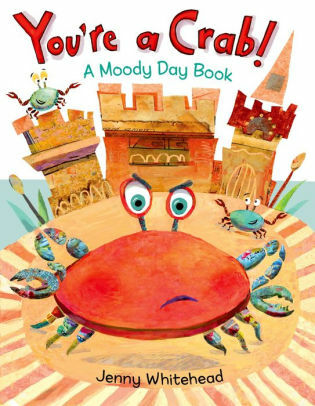 : A Moody Day Book, we see the many different moods of a young crab, and his mother’s continued presence. Anger and sadness can be difficult emotions for adults, and even more so for children. Hearing scripture bearing witness to these emotions can be helpful for all. We can turn and yell at God in faith, and then we have to sit back and listen for the answer, which the scriptures don’t provide us. We have the opportunity to sit in the lament. Comment: Eli is a young boy who has an active imagination and loves to create stories. He also creates these stories instead of telling the truth to avoid getting in trouble. The mailman delivered a lie-o-meter to his house. This machine will spit out a ticket when Eli is not telling the truth. He can no longer get away with it until one day, he tells a liea nd the machine does not spit out a lie ticket. Eli thinks he has gotten away with it, but he can’t let it go. 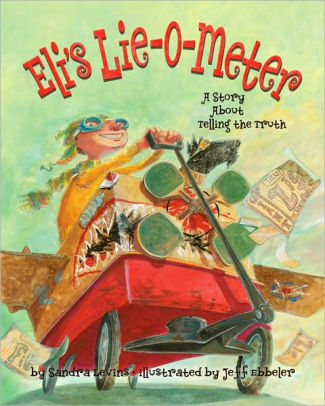 Eli starts to feel bad and in the morning, he approaches his parents to tell the truth. These words from Hebrews tell us to approach boldly and confidently to confess our sins at the throne of Grace. When we confess our sins, we receive mercy. When Eli confessed to his parents the truth he was welcomed with love and grace from his parents. Comment: This conversation between the rich man and Jesus shows how difficult it is to be saved. It reminds us that it is only through Jesus Christ that this is possible. Jesus tells the rich man in order to be saved he has to sell all his things and give the money to the poor. What this highlights for us is the need to be fully committed to Jesus. 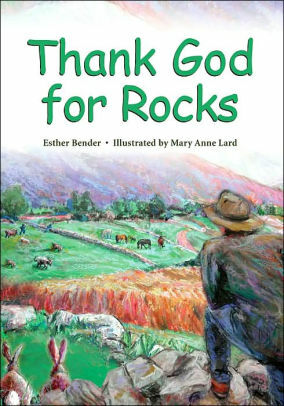 In Thank God for Rocks, a family purchases the only farm they can afford. They are greeted by a woman telling them they have made a mistake and should give up and move on. The family is committed and don’t shy away from the difficult task ahead. They approach it with thanksgiving and eyes filled with beauty. It is through their commitment to the land they bought that they are able to transform it into the most productive land in the community. When we are fully committed to Christ, willing to give everything up, we will be transformed and experience salvation. Thank you to Elizabeth Boulware Landes, Union Presbyterian Seminary alumna, for writing the Revised Common Lectionary Links for Storypath for the last six weeks. Lectionary Links (RCL): October 14, 2018 by Storypath is licensed under a Creative Commons Attribution-NonCommercial 4.0 International License.